Spring is here! Weather is getting warmer, spring clothes are filling up my closet, and my hair is changing along with the weather too. During the winter, my hair needed a lot of oil and moisture because it was dry all the time and now with Spring here my hair doesn't want to be weighed down with heavy creams and gels. The other day, I went to Target looking for a curling cream that's not too heavy, creates moisture and shine to my hair that wouldn't require me to put a whole lot of oil in it. During my quest to find the prefect curling cream, I found Pantene Pro-V Truly Natural Hair Defining Curls Styling Custard. 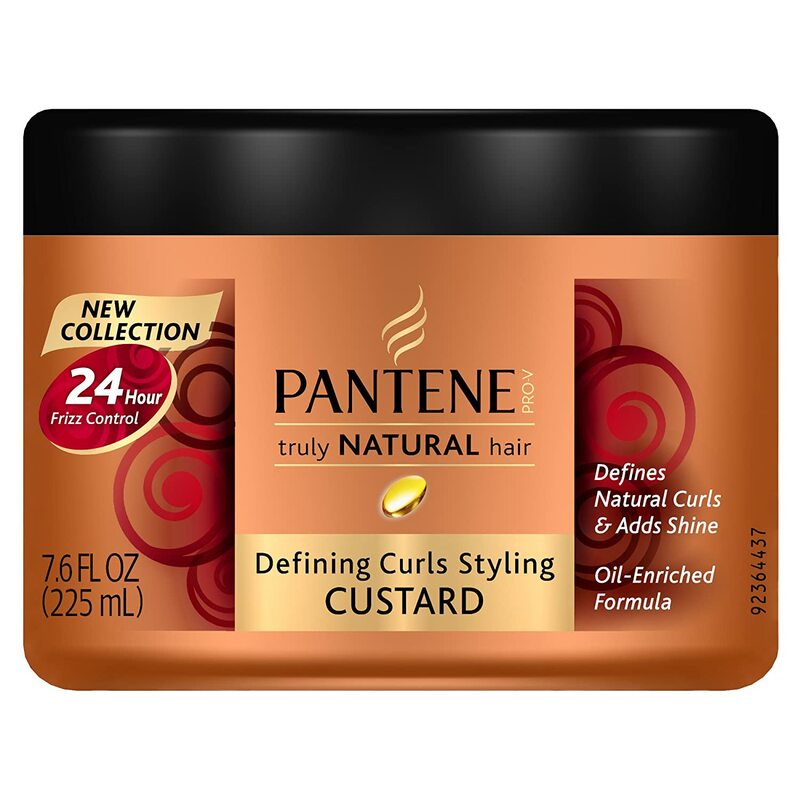 Pantene claimed on the container that it defines natural curls and adds shine, 24 hour frizz control even in high humidity, and leaves curls touchably soft and manageable. Since the product was about $5.00, I thought I'll give it a try. 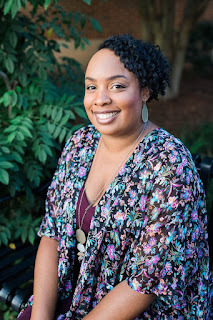 When I got home, I cowashed my hair, added a leave-in conditioner, and then sectioned my hair in four sections to get ready to put my hair in twist to do a twist out. Each small piece of hair I pulled out from my sections, I put the Pantene Styling Custard in my hair from root to tip and then combed it through and did a two strand twist. I continued this process until my whole head had twist in it. I use the blow dryer to get my hair dried enough as possible before I used perm rods to curl my ends. Once I got my perm rods in, I wrapped my hair with a silk scarf and then went to bed. Next morning, I took out my perm rods, untwisted my hair, and then fluffed it out. I did put a little bit of olive oil in my hair to give it a little more extra shine. To my surprise, my hair looked great, felt great, and had the hold that didn't feel hard! My hair smelled just like using any Pantene product which is not bad because it smells good to me. I'm glad to have found a product that gives my hair good curl definition without needing gel. Also before I've written this review, I wanted to see how my hair would look on the second day. All I did was spray a little water to my hair, add a little olive oil, redid my twist and added my perm rods. 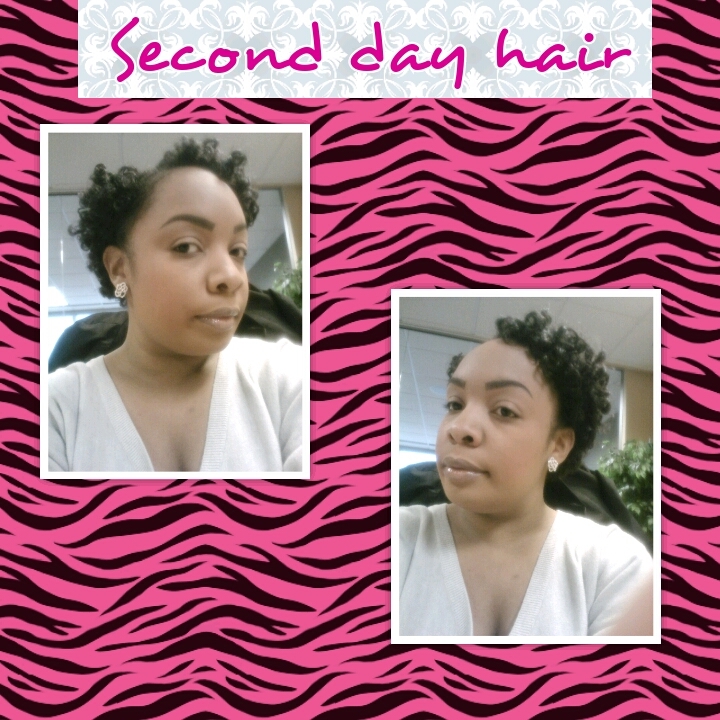 My second day hair still looked good but with bigger curls because now my curls are stretched out a bit. My hair still has a good hold but I can tell on the third day I'll need to use a little bit of the curl cream. Water, Dimethicone, Sorbitol, Aminomethyl Propanol, Carbomer, Va/Crotonates Copolymer, Benzyl Alcohol, Fragrance, DMDM Hydantoin, PEG-40 Hydrogenated Castor Oil, Panthenol, Panthenyl Ethyl Ether, Simmondsia Chinensis (Jojoba) Seed Oil, Cocos Nucifera (Coconut) Oil. Is Pantene Pro-V Truly Natural Hair Defining Curls Styling Custard Worth a Try? I believe this styling custard is pretty good for the price. No flakes, doesn't make my hair hard, good hold, good shine, and my hair smelled good. No gel is needed using this product which is a plus!